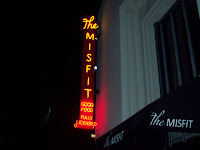 The next stop on my journey of grass fed beef restaurants was the Misfit Restaurant + Bar in Santa Monica. After my friends and I saw a movie at a theater on the 3rd Street Promenade, we decided to walk off the beaten path and check out this contemporary restaurant that I’d heard about. 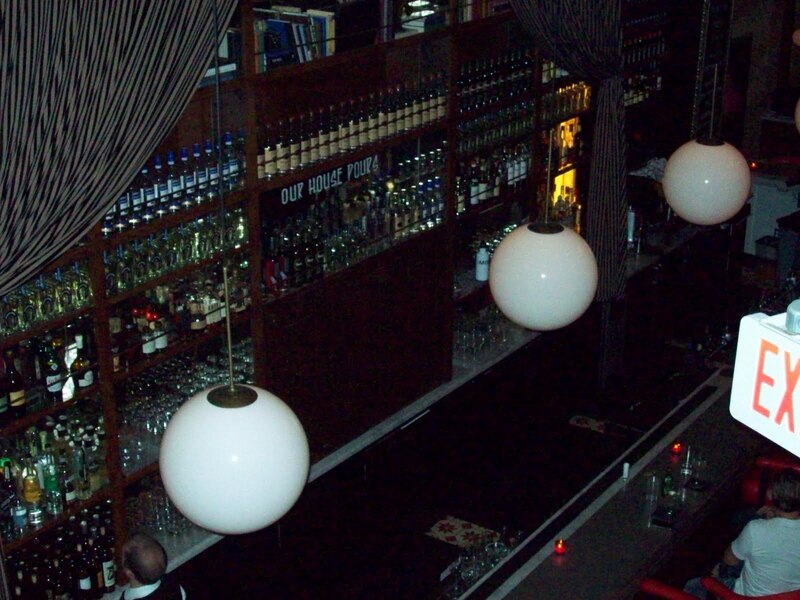 Upon entering the place, it’s somewhat dark, but not lacking in atmosphere. As we enter the restaurant, we pass the bar area which has the trendy look of bookshelves lined with bottles of alcohol. We then make our way over to the table to check out the menu. On my first glance at the menu, I was blown away with how many of the ingredients were sourced to where they were grown. 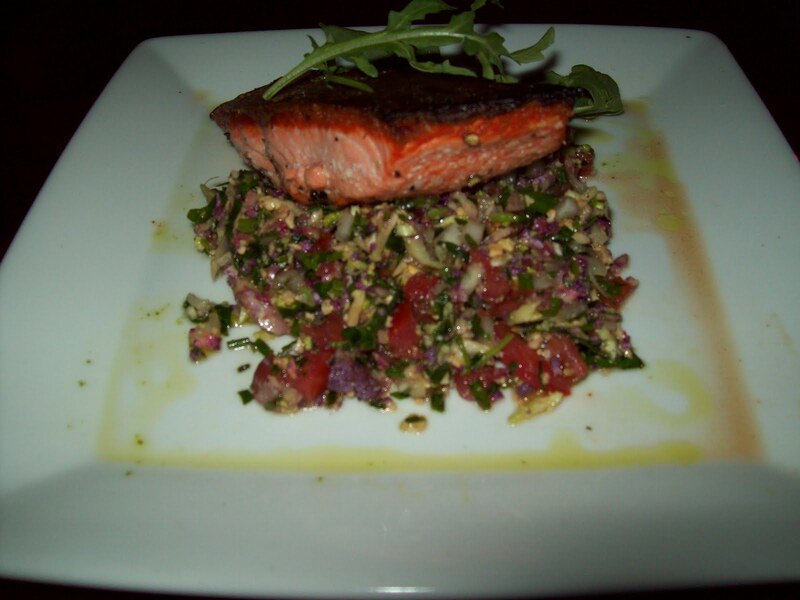 The menu also explained that most of the items were purchased from the nearby Santa Monica Farmers Market. In addition to serving grass fed burgers and strip steak, they also have organic chicken, sustainable fish, and many vegan and vegetarian options. 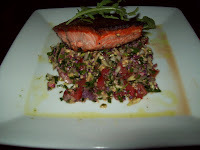 One of my friends went with the Copper River Salmon. My other friend and I opted for the Misfit burgers. had to see if any good microbrews were on the menu. I was very pleased to see that the beers were all craft and mostly from California breweries. I’m a dark beer guy, so I went with the Alesmith nautical nut brown ale, a San Diego brew. My beer arrived first and I was beginning to love the place. I often find brown ales to be a little light for my taste. They can lack the true maltiness found in a porter. Not this one. If I were to guess in a blind taste test, I’d think it was a porter. Now onto what I came to the Misfit for … the burger. As both health and the environment are reasons why I support grass fed beef, I like that the patty was placed in between two slices of toasted multigrain bread. The multigrain was nice and rich. I forgot about the whole notion that burgers need to be served on a bun. The reason I chose the Misfit over the other burger there was because it contained two of my favorite condiments: dijon mustard and green chile. If you weren’t able to guess, I like my burgers spicy. The mustard was a great supporting actor to the grass fed patty’s lead performance. 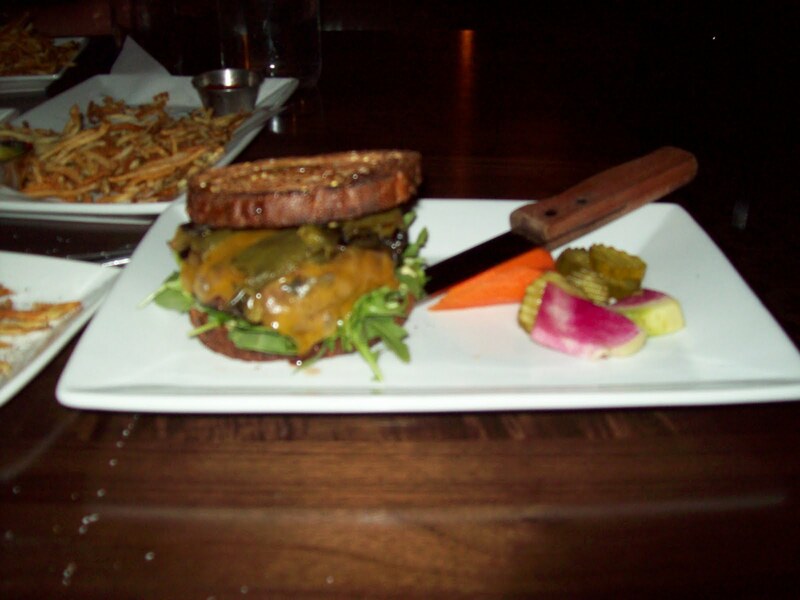 The green chiles added texture to the burger, but weren’t overpowering. The remaining condiments all executed their roles successfully as well. 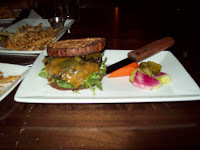 The cheddar cheese was sharp and was melted onto the patty just the right amount. There was plenty leafy lettuce underneath the patty, but Misfit didn’t overdo the amount of lettuce as so many restaurants do. The burger, the beer, and the shoestring fries that I split with a friend were quite fulfilling, but I knew they also served gelato. Fortunately, I still had some room saved for one of my favorite desserts. 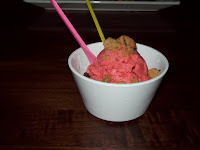 Being an appropriate omnivore, I decided I had enough dairy and went for the sorbetto dish. Plus strawberry was the most appealing flavor. 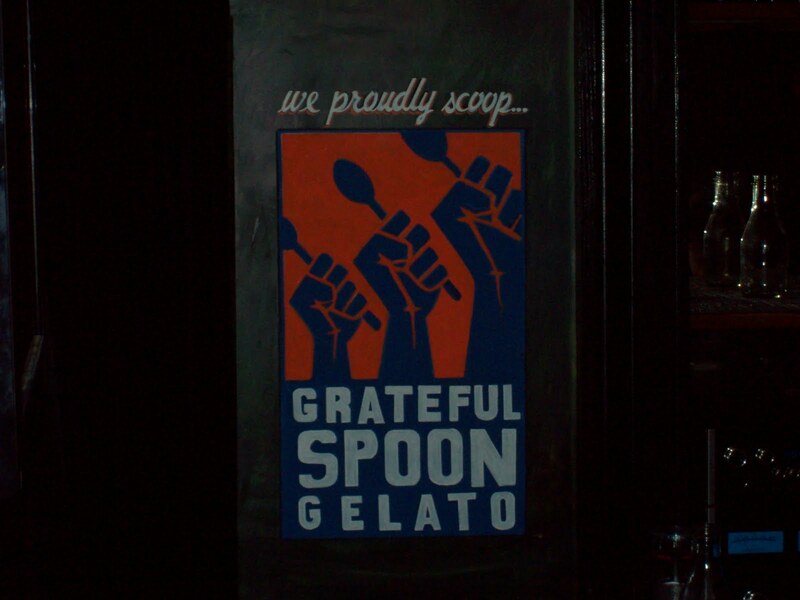 Misfit offers the Phoenix based Grateful Spoon Gelato, which uses many organic and natural ingredients. I could easily taste the strawberries in it. The Misfit Restaurant + Bar was another home run for grass fed beef and sustainable restaurants. My friends were pleased with their burger and fish. 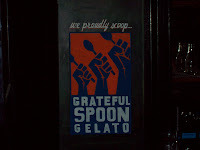 For me, the place hit my trifecta of craft beer, grass fed beef burgers, and gelato.